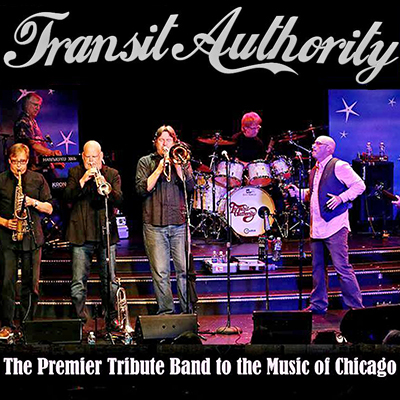 Back by popular demand, don’t miss Transit Authority in their premier tribute to the legendary rock band Chicago! This fantastic band presents sold-out shows across the nation performing Chicago’s #1 hits and arena rock power ballads including “Saturday In the Park,” “Just You and Me,” “Wishing You Were Here,” “25 or 6 to 4,” “Feelin’ Stronger Every Day,” “Old Days,” “If You Leave Me Now” and many more! This terrific tribute band returns to Chanhassen Dinner Theatres by popular demand for a one-night-only opportunity!